Why not bring some of the excitement of NHL Hockey into your next game of cards? 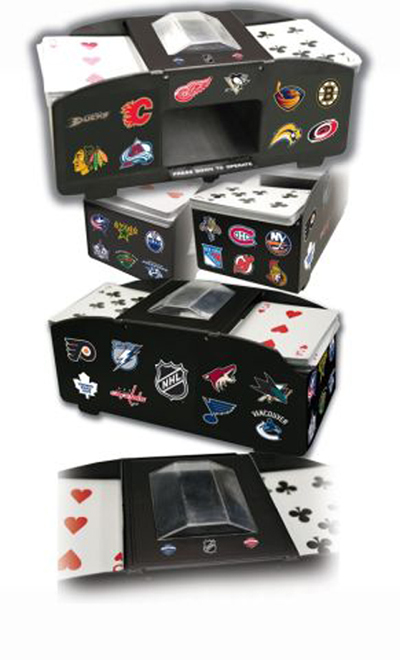 This battery-operated card shuffler can shuffle 1 or 2 decks of cards and has the logos of NHL teams all over the sides. Batteries not included. These NHL Hockey Deck Shufflers are a great gift item. Get yours today! Copyright © 2011 ABC Billiard Plus All Rights Reserved.